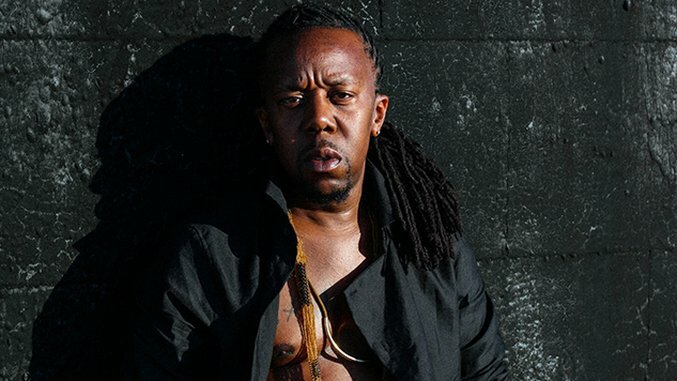 Zimbabwean American musician Tendai “Baba” Maraire has been making waves beyond the world of experimental hip-hop. Most know him as one half of Seattle-based projects Shabazz Palaces and Chimurenga Renaissance, as well as a member of the Black Constellation. More recently, he’s expanded his artistry past the layered instrumentation and production of his musical output: take his garment work at Seattle Art Museum’s African Renaissances exhibit, which sources rich and historical fabrics to create a new-age look. 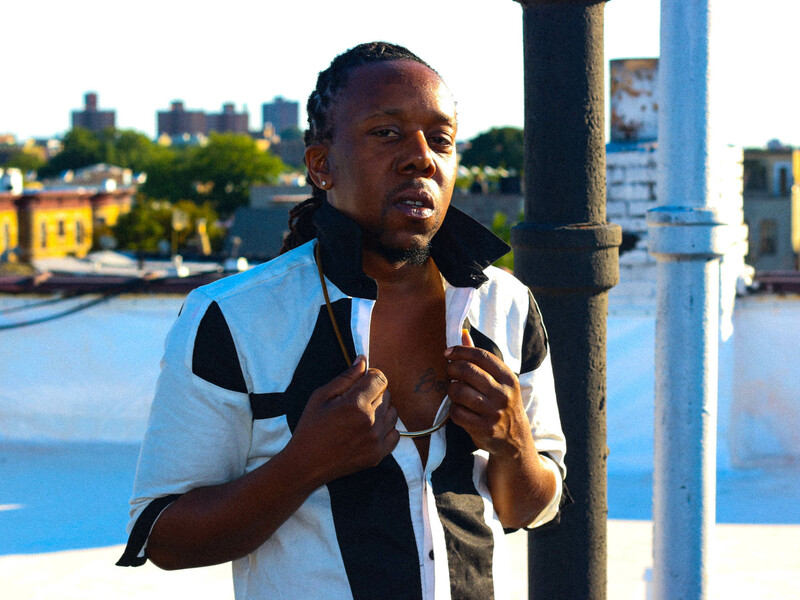 Paste chopped it up with Maraire after Shabazz’s set at Afropunk Fest to learn more about his mbira prophecy, his roots and travels and how he’s cultivating conversation between contemporary African and Black American cultures. Paste: So you just wrapped up a pretty big exhibition in July (Seattle Art Museum’s African Renaissances). How’d you get on board with that? Tendai Maraire: Pam McCluskey, who curates African art at the SAM, approached me a couple of years ago about my role in the Black Constellation, and asked, ‘When are you going to display art?’ I responded, ‘I don’t do art.’ And she looked at me and really said, ‘No, you do. The clothing and jewelry you’re designing, that’s art,’ and I never really looked at it that way until she said it. When I design a ring, I’m just designing it because I want a ring, you know? But her approach really made me take it seriously. Paste: That’s an interesting way to put it—where do you think that hesitation stems from in relation to your art form? Maraire: I’m the type of person who won’t say I’m a ‘keyboard player’ just because I can peck at the keys, because then a concert pianist will show up and make you look like a fool. With clothes, I was always making clothes, but I’ll say that there’s a lot of clothing brands that came out in the ‘90s in hip-hop, and a lot of them are gone. And when it comes to the stuff I’m designing, I want to still be around doing it for a while, if I’m going to do it. Paste: What else pushed you to get involved, beyond Pam’s encouragement? Maraire: I didn’t want to front that way in the art world, so I learned a lot from other folks in the Black Constellation, I started reading more and I was influenced a lot overseas by our driver, who’s a museum enthusiast. I started hanging with him a lot and hearing his perspective, and realized that I do have my own eye to this. So for African Renaissances, I wanted to display my work in a way that showed the full circle of who I am, and the heart. For example, there’s a video we shot at the Zimbabwe ruins, which is a really sacred place to me, and it showed me coming to my ancestors and giving thanks, and playing my mbira there. Paste: Which reminds me, you also had an mbira that you made on display there. Your father Abraham Dumisani Maraire was a legendary mbira player—that instrument has been in your family for generations. Did he teach you? Maraire: He’s legendary but he never taught me how to play. It’s kind of like this—I was raised the traditional way. In my culture, people don’t do things they’re not supposed to be doing. I don’t go to a football game saying I’m an NFL player, right? Paste: Right, like the keyboard player thing. Maraire: Right, so the thing is with mbira—I was self-taught. I was around music a lot, and I just picked up stuff and started playing it. As the story goes, I was 18-months old and my parents were teaching a class, and I got up and started playing the drums and that was it. It immediately threw me into the fire. Maraire: 18 months. You hear the stories, you listen to your parents telling you about your own legend, yeah, yeah, yeah, but I’ll say this: when I got older and saw how my nieces and nephews picked these instruments up—I have footage of them at three years old on stage, knowing routines—I believe it. Because our family is generations of musicians and teachers. I just picked it up and was around it. There are two types of mbira. My father played nyunga nyunga, which is what you’ve heard me play at Shabazz Palaces shows. There’s another one called the nhare. The nhare is the one that’s for—what you’d call witch doctors in America—it’s for healing, it’s a spiritual instrument. I don’t play for people or on people’s music with that instrument because it’s sacred to me. Paste: Did you have that same kind of legend or “breakthrough” moment with the mbira, like you did with the drums? Maraire: With the mbira, it was a prophecy. I was 23- or 24-years-old when the family went back to Zimbabwe. Everyone crowded into a hut in the village we were from, and it was prophesized that I would play [nhare]. And I ended up playing it. Self-taught. And actually, although I don’t typically like to play it, it’s the instrument that was featured on Shabazz Palaces’ first production, “Blast It.” Ishmael [Butler] just kept asking me to play the instrument, and at the time I was like, ‘I just wanna make beats, I can’t do that.’ I was in a sacred time. But then I went with it, and it did pretty well. That story started from one conversation in that village in that hut, the prophecy, the rest of it is what you make of it. Maraire: In the case of my family, my grandparents and parents were all teachers. There’s this generational ability to channel ancestral past and bring a sort of wisdom to people. Our last name just happens to mean “the many with wisdom,” it just happens to mean that. I’ve just always been aware of my legacy, who I am, what I do, and known that music has always been a part of my life. And musically, the more I started making my music without worrying about the outcome and surrounding myself with like-minded people, the further the music took me, and the further we expanded and opened up doors. 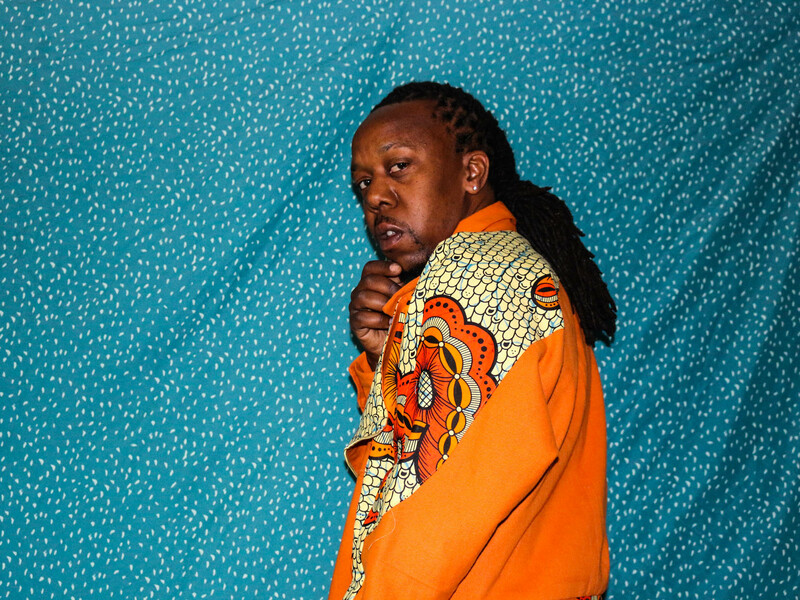 Paste: I think my next question is related, but to switch gears a little, I wanted to get some insight on the common thread between you and Ish [Shabazz Palaces] and Hussein [Chimurenga Renaissance]. Since Chimurenga came first, what united you and Hussein? Maraire: Hussein and I knew each other in high school and were inseparable. Ish and Hussein actually both went to Garfield, and I went to Franklin, which are rival high schools in Seattle. We started a little before Shabazz Palaces, before me and Ishmael. We just made songs, and weren’t looking to form a group really. The more we started making the sounds and getting closer to our roots of who we are and what we are, the more we shared ideas. He’s travelled around the world, speaks four languages, has lived in South Africa and Europe, I’ve lived in Zimbabwe and travelled to Europe my whole life, so once we started talking about things we’ve seen and how we were different compared to some of our peers growing up, we decided to really do this, own this sound, and create more of a Pan African sound that really speaks to both sides of the bridge, both sides of the water: our Black American side and our African side. It’s tough because it’s not always on the same culturally or politically, but we try our best to do that. Paste: So how does that aspect of travel continue to influence your music, art, all of it? Maraire: It actually impacts me a whole bunch. I love creating on the bus, for example. I love writing on the bus. When you start off somewhere in France and end up driving all the way to like, Sicily, you see so much. There’s so much history and so many wars—so much land—you pass through. You pass through so much geography, and that motivates me to write. The road has always influenced me, and the people you meet from all over the world. You go places and our music makes these people feel liberated and free and happy. It makes them feel like someone feels whatever they’re going through. I’ve seen everything from proposals to first dates at our shows. The travel is a big influence on me, heavy. Paste: So where do you think you want to “take” your music? What’s on the horizon? Maraire: My biggest thing with planning trips as a musician is when you’re approaching the music industry, a lot of people are approaching it with an outcome. I never went into this thinking I’d play in like, China, playing this instrument, the mbira—but I’ve been there. With that being said, there’s one thing I’m really trying for—I’m trying to set up an annual tour of curated groups I like, to perform and tour Africa, ideally starting in North Africa, heading down to South Africa, and finally ending up in Zimbabwe where I’m from. I want to use this tour to create a conversation between groups from America, and groups in Africa. Like I’d love to see Angelique Kidjo on stage with Erykah Badu, for example. I think that would be powerful, and I don’t think there’s enough collaboration like that going on. Paste: So there’s a deeper social and political mission going on there. What do you think is so important about connecting these geographies and cultures? Maraire: I’ve always listened to the ‘Bob Marleys’ and the ‘Tupacs’ of music, these great writers and activists, and I feel like in my own work, I’ve seen different sides of the mountain. I know what it’s like to grow up black in America. I know how black Americans look at Africans, and how Africans look at black Americans. I want to be that person to mediate that conversation in arts music and culture—let’s empower one another to be better people. A lot of rappers and artists have tried doing that in the past, and I want to be able to do my part in that too. That conversation is so dear to my heart.